The ancient pagan astrologers regarded solar eclipses as bad omens. So, too, did the rabbis of the Talmud, who warned in Tractate Sukkah, page 29a, that solar eclipses forecast ill fortune. But by that time, eclipses could be predicted. That raised a fundamental question about free will: how can eclipses be bad signs if we can predict them? The question the rabbis wrestled with was also familiar to St. Augustine, as well as other Christian philosophers. The rabbis’ answer was that Jews who kept God’s commandments did not have to worry about celestial omens. But many rabbis, especially the Kabbalists, studied astrology closely for insights into God’s will. For astrologers, solar eclipses were not the only bad omens: any time two celestial bodies either intersected in the heavens, or were 180º apart, (as the sun and the moon are in a lunar eclipse), the negative properties of those bodies would be amplified. Horoscopes were constructed using precise measurements of the angles between planets, not just for telling individual fortunes but for a variety of “scientific” purposes — even diagnosing medical conditions. Occult science aside, there is one feature of solar eclipses that was perhaps not readily apparent to the early stargazers, and that is the fact that eclipses reveal the sun’s corona, or crown. 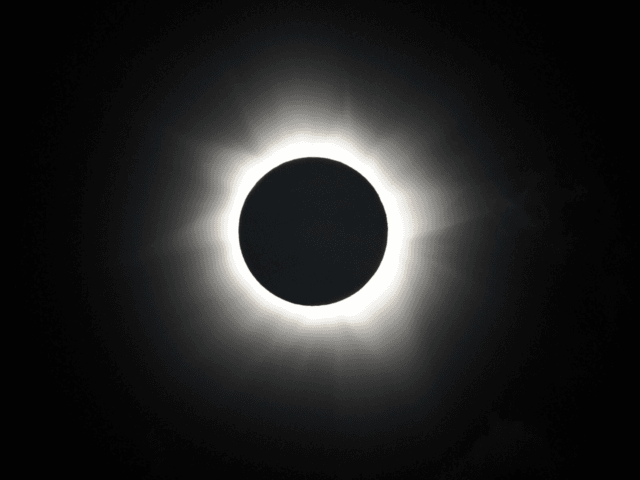 The corona, the plasma that surrounds the sun, is perhaps the most mysterious and fascinating part of the sun, and is still studied closely by scientists during the brief minutes of totality. There is still much about the corona that scientists do not understand. In addition, there are other celestial features that are normally invisible, but which an eclipse reveals. Chief among these is the planet Mercury, which is usually too close to the sun for us to see, but which can emerge brightly during totality. Solar eclipses also reveal other secrets: Albert Einstein’s general theory of relatively was proven during a solar eclipse in 1919 that revealed, as he had predicted, that the light of stars near the sun was bent by its gravity. So while religious tradition suggests that eclipses may be bad omens, it is also true that during the time of greatest darkness, the most profound light may emerge. And in the instant when earth is shrouded in shadow, that is when the deepest insights about God’s creation may be studied, however fleetingly. There is positive potential in every such moment. In that, the Talmudic sages were right: our circumstances matter less than what we do about them.